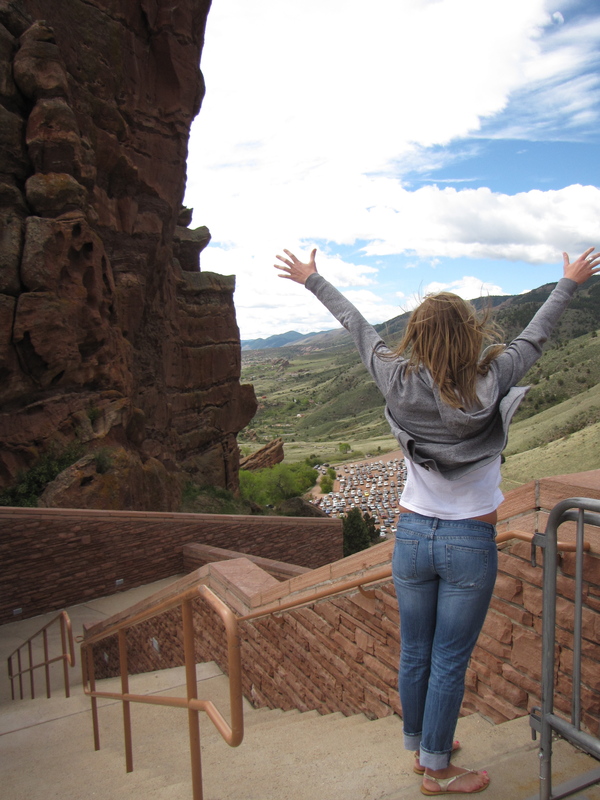 A couple of weeks ago, Jo Ann, Cayla and I visited Red Rocks amphitheater here in Colorado, and it was absolutely incredible! These huge, massive, red rock formations stand like a fortress; again it’s simply spectacular. This past weekend at GCC I shared Part 2, Stones, Gates, and Keys, of the That Seems Crazy teaching series, my first here. Part 2 was based on the verse in Matt. 16:13-19, especially where Jesus says, “…you are Peter, and on this rock I will build my church, and the gates of Hades will not overcome it.” It sounds like Jesus is going to build the church on Peter- but that seems crazy, and it is, because that’s not what he’s saying at all. Jesus uses the word, petros when he says “Peter”, it means little stone. He’s telling Peter that he’s a little stone with issues, with insecurities, with weaknesses, with limited capacities; just like all of us! Thank God Jesus isn’t building his church on us, regardless of how clever, creative, or cute (needed another “c” word) we may be- we are merely little stones. But when Jesus says “on this rock” he uses the word petra which means “BIG ROCK!” In other words, “You are little stone and on this BIG ROCK I will build my church!” Jesus, as the BIG ROCK, and using the word Petra” speaks of an unshakable, unmovable foundation; an impenetrable fortress, high on a mountain; and ultimate security- yeah, I really want Jesus to build his church on that! Don’t you?? And what’s even more revealing is the implication that, yes Jesus is the BIG ROCK, but it is also the revelation of Jesus now, in and through our lives today, and throughout history, that is the key to Jesus building his church! Later Peter would say, “And you are lively stones that God is building into a spiritual temple.” 1 Pe. 2:5 Puts it all into perspective. Now Peter is saying, “Yeah, I am and you are little stones, who have the revelation of the BIG ROCK- Jesus, and that’s how he builds his church!” So, in all that we say and do, our main objective is to reveal Jesus, and he’ll do the rest!